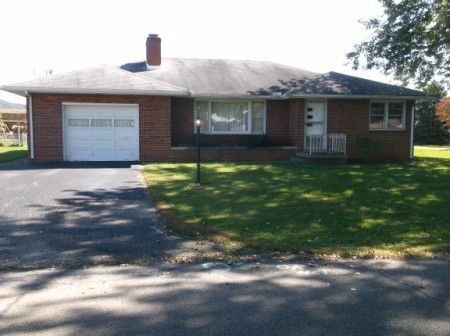 Being a brick ranch 3 bedrm & bath home, full basement & attached garage situated on a nice level corner lot (Zane Road & Pawnee). Home offers massive living rm w/ limestone exposed mantle gas fireplace, hardwood floors; Eat-In Kitchen w/ wood top & bottom cabinetry; Dining Rm w/ crystal chandelier, hardwood floors & built in double glass cathedral door w/ natural finished china cabinet; 3 spacious bedrms w/ closets; full bath w/ shower over tub; hall closets; full concrete floor basement w/ washer/dryer hookups; home equipped w/ central A/C, electric furnace & gas fired hot water boiler, 200 AMP breaker box; City Water & Sewer. 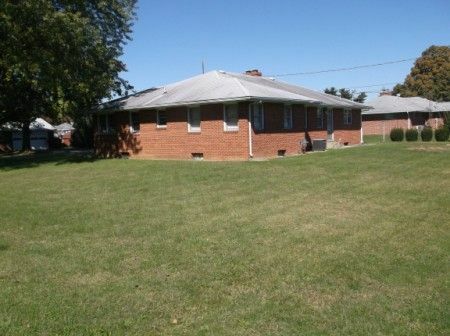 Cookouts will be a breeze with the outdoor brick BBQ pit with concrete pad in the backyard. Real Estate Terms: Minimum Bid $73,333.33; $7,500. down at time of sale cash/check, balance & possession upon delivery of deed on/before Dec. 7, 2013; no buyer contingencies exist; offered free & clear prior to closing; no warranties or guarantees given, expressed or implied; sold in as-is condition. Taxes & Legal: Taxes Homestead $1,312.04 pro-rated to day of closing; Ross Co. Auditor's Parcel No. 305460044000; Vol. 516, Pg. 061.